I don't know how to share this AMAZING NEWS that I just read, because literally I'm jumping and screaming now though I'm in the middle of the quietness of my office in the morning. Luckily, I'm in my own room in the farthest of the hall, so I don't care. Yay, Legend will be brought to motion pictures on 2016. "Legen's film rights have been sold to CBS Films, with Twilight producers Wyck Godfrey and Marty Bowen to produce. Jonathan Levine, director of 50/50, is currently set to direct the film, with newcomers Andrew Barrer and Gabe Ferrari writing the script." I know, it is like two years from now but I don't care, because recently I feel like time flies so fast. So, fingers-crossed, I don't know Jonathan Levine, but I put my trust on him to make the movie worth waiting. Anyway, any ideas who's going to be Day and June? Countdown time… 27 days before the released date of the fifth series of The Heroes of Olympus, The Blood of Olympus by Rick Riordan. I have put my pre-order in Periplus.com and my estimation is I will get the book 2 or 3 days after the release date which is around 9 0r 10 October 2014. Well, such a great early birthday present for me specially wrapped by Rick Riordan (since my birthday is in October). So, there are going to be two versions that will be released on the same day, US version and UK version. I did choose the UK version to buy for this last battle book because, I don’t know, I think the cover looks more elegant. Well, it’s just my opinion. 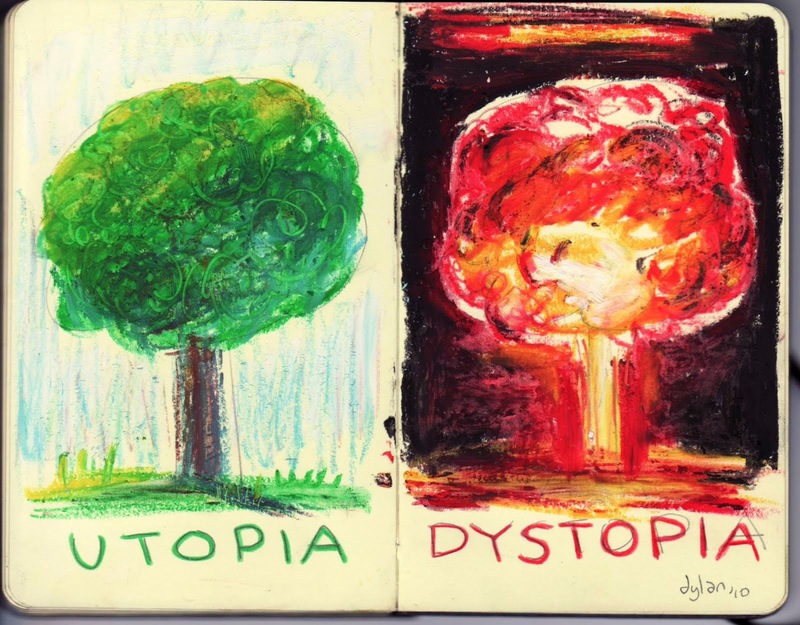 Here I attach the two versions of the cover. Well, how about the story? Gosh, I still can’t believe that it is going to reach an end and I still hate Octavian. Why he doesn’t have any good sense? Whatever, we know that in this last battle each Percy Jackson’s fans around the world MUST witness that Octavian finally get punch in the face for his stupidity and self-ego. Because it is required a huge battle, one series to save Athena Parthenos and a big sacrifice from the Argo II team to leave Athena Parthenos behind instead of using it as their secret weapon, the purpose is only one; it is just to put a sense to Octavian’s head, so the war between the two camps could be stopped. The Athena Parthenos will go west because the statue belongs to Long Island and the Argo II team will go east, to Athens. While the gods are still suffering from multiple personality disorder, the Argo II team should face Gaea’s army of powerful giants, and they are stronger than ever. And if they lose and Gaea wakes, it is game over. I’m wondering what Gaea eats for breakfast if she needs two demigods to be sacrificed just to wake her up? 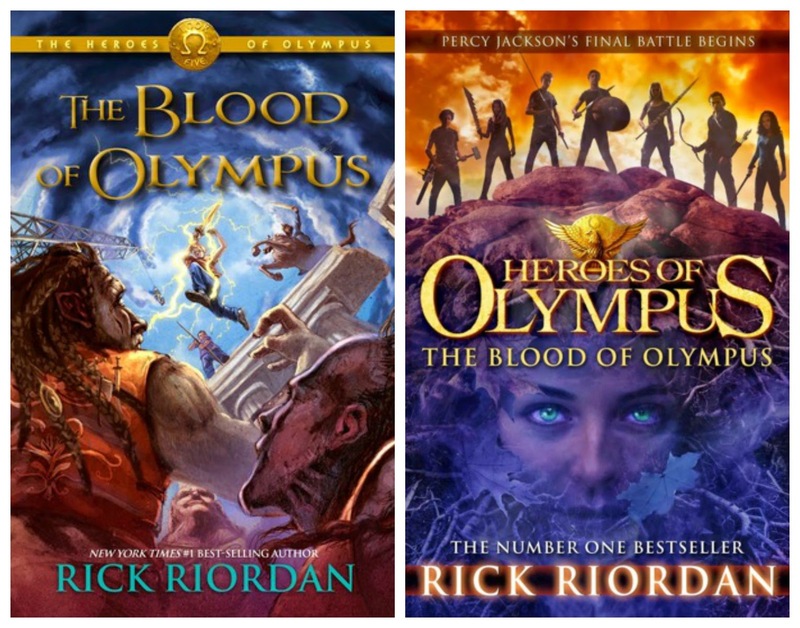 Lest just find out this October 7th, 2014 for the fifth series of The Heroes of Olympus: The Blood of Olympus by Rick Riordan. Just want to tell you that last night I just found out that Magnus Bane's mother is an Indonesian native and his father is a kind of high demon. Yeah... I don't know whether it is an important information or not but I keep wondering who his father is, is he any demon I know here? Since, well you know, I'm living in Borneo, Indonesia, in the deep of the forest, and I'm sure that Tartarus is not really far from here and Forbidden Forest is totally in sight whenever I open my kitchen window every morning. Anyway, it is not something I'm excited about this morning. 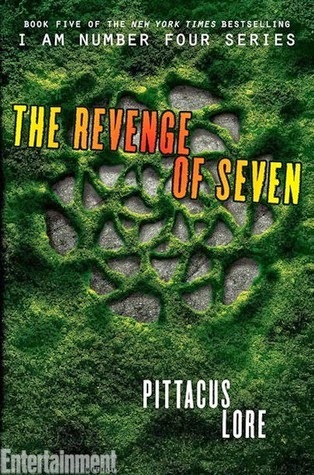 Yay, I just got the link download for The Revenge of Seven by Pittacus Lore. So, I am reading it right now, and just update my status of The Revenge of Seven from 'Want to Read' into 'Currently Reading' in Goodreads. As usual, I always do the share. For the link download of The Revenge Of Seven epub, please click here. Okay, I have some stuffs to do but what I'm doing now is actually blogging. Why? Yes, WHY???!! This morning I woke up with my Xperia still in my palm because somehow last night I fell asleep when reading a Harlequin novel. You may think "What's the big deal?" For me "IT NEVER HAPPENED BEFORE? ME? FALLING ASLEEP WHILE READING? COME ON? THAT'S NOT ME"
What usually happens is I decided to stop reading and then enjoy my sleeping beauty or I decided to continue reading until I finish the book and woke up miserably in the morning. But, sometimes I don't really care about my looks in the morning as long as the book is worth reading. Yes, worth reading book that what I'm looking for right now. I really miss the time when I have to wait years for Harry Potter. Visit bookstores regularly just to make sure if Darren Shan is already out or not. Gallagher Girl series by Ally Carter has finished, though still waiting for the Heist Society series which still not coming out yet. Even Rick Riordan's Percy Jackson has only one book left, and I'm not really sure when the next series of The Kane Chronicles will be published or the new mythology from Norse Mythology that Rick Riordan plans to write. 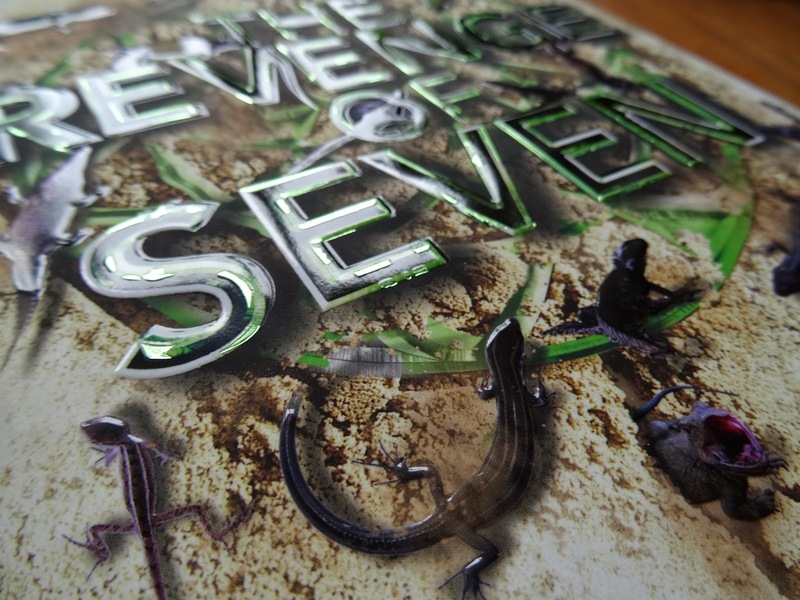 The only book with the closest release date which already confirmed is the sci-fi Lorien Legacy series by Pittacus Lore, Revenge of Seven. Kami Garcia and Margareth Stohl's Beautiful Creatures series which I stuck in the second book. James Dashner's The Maze Runner series which I also stuck in the second book. Shanna Swendson's Enchanted Series; I really love this series but I cannot find the fourth book, Don't Hex with Texas, and also the rest of the series. Well, actually the word 'cannot find' is a bit strong because actually I could find the book but very expensive. Richelle Mead's Vampire Academy series; I'm still reading the third book, Shadow Kiss, not sure when I will finish it. Michael Grant's Gone series; a lot of friends recommend this book but I even haven't finished reading the first book. Thomas E.Sniegoski's The Fallen series; I remember that I really enjoy the series but it has been along time ago, with my reading block now, I don't know when I could find a mood to start reading the fourth series, Reckoning. Cara Lockwood's Bard Academy series; I'm still looking for the second book of the series, The Scarlet Letterman, but the bad rating and review in Goodreads somehow contributes in putting my reading mood down. Cassandra Clare's sixth series of The Mortal Instruments, City of Heavenly Fire; however until now still cannot find the mood to start reading it. So, what should I do now? 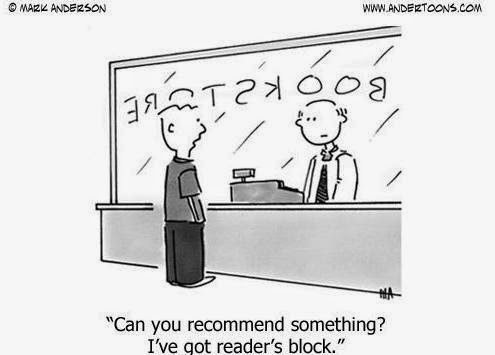 It's reader's block by the way. Well, my husband said perhaps I'm too stress with work. He suggested to go out fishing with him this weekend, not to fish of course but finding a new and fresh place to read. Actually, it is not a bad idea after all because where I'm living now is still surrounded by primary forest, deep wood, rivers and lakes. Let's find out this weekend, whether I'm still suffering with reader's block or not. Bard Academy... fuhhh what should I say about this book??? OK, let's start from the basic thing of the book, THE COVER, believe me, don't ever judge a book from its cover, because I did in this book and I got completely fooled. A cute cover of the book reminds me of Ally Carter's Callagher Girl, you know cute cover with cute story. However, I never thought this book to be half-horror. The story is started with a fifteen years old High-schooler, Miranda Tate, who is sent away by her father to a Boarding School called Bard Academy which is not so mysterious in the first place, but when she arrives in the island where the Academy is, she starts finding some weird things, especially a guy named Hatchcliff who thinks he is from Wuthering Heights. Come one? If you meet someone who thinks he is actually Harry Potter you will think the same thing don't you? However, he turns to be the real Hatchcliff from Wuthering Heights and Emily Bronte brought him to this world from her book. Yes, the late Emily Bronte, and her sister, Charlotte Bronte is actually the Headmistress of Bard Academy and the Academy Coach is actually Ernest Hemingway, not to mention Virginia Wolf is also joining the academy. This kind of story reminds me a bit of Inkheart by Cornelia Funke, the different is if Cornelia Funke is using totally fictional characters, Cara Lockwood is using the real people. For me, it is really fascinating, just like Miranda has said, perhaps only in Bard Academy she is finally interested in studying, well having Virginia Wolf and Ernest Hemingway as your teachers is actually a lifetime experience. I always like Ally Carter's work and Cheating at Solitaire is not an exception. 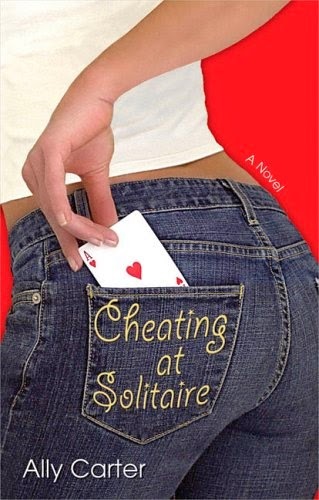 However, after Callagher Girls series, getting back to Cheating at Solitaire is giving me different perception toward Ally Carter, a secret spy into a world-wide famous author who keep insisting herself to be single but the fact is she is very much in love to a famous actor with a famous dad. It is like Veronica White and Julia James; different but the same person. However, unlike Julia James who prefer Veronica White to be dead, my perception is much more like what Abby said, that nothing Julia should ashamed for of being a Veronica White once because they are both amazing. Well, I am not in the mood of doing a review because no matter what I say, you will always love Ally Carter. Now, I'm struggling to find the next book, Learning to Play Gin. Still don't know where I could find it, but as usual, I will find it. Where you live, what you do and with who you are hanging out with will strongly influence what you know. Two years ago, when I was a website content writer perhaps I would have been the first one to know about Heartbleed. This morning, when my boss just arrived in the office, he asked me to call the IT guy, and he was seriously talking about hacking stuff. Wow, my boss is talking about hacking stuff? And I just like, where have I been? It is true that recently what I’m doing is just preparing bunch of reports with no time to do some surfs in the internet. Well, I also have some writing projects to finish but never mind, this morning I just want to talk about Heartbleed. Heartbleed is a serious security bug or vulnerability in the popular open-source openSSL cryptographic software library. As we know, SSL/TSL is a cryptographic service that provides security and privacy we need in communication over the Internet; it is widely used in email, web, IM and some VPNs. And Heartbleed enables the third party to steal information/data (including username and password) even eavesdrop the conversation; and the worst the third party could impersonate both service provider and user. 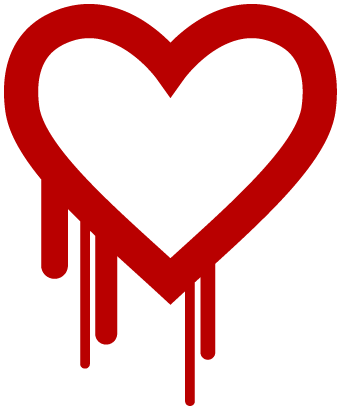 What makes Heartbleed different from the other bugs exploited previously? Some bugs in software are easily fixed by upgrading the software to the latest version. However, Heartbleed is not just a bug that you could fix by upgrading the software because some memories (data, information, secrets) are already stolen and probably being exposed over the internet. Besides, so far all the attacks left nothing (no trace at all) but taken data. That’s why some further actions are required to recover the after-effect. How to recover the after-effect of Heartbleed? 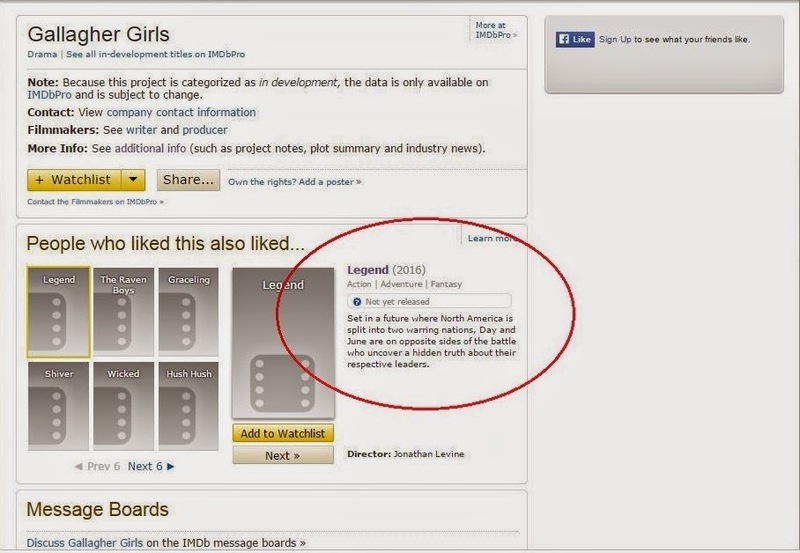 Well, there are some ways which classified into 4 categories based on how the data leaked. Primary Key Material. In simple word, what is leaked is the primary encryption key itself. Once the key has been leaked is possible for the attacker to decrypt the encrypted data or protected service and then impersonate the service provider/owner.How to recover it is the service owner should patch the bug/vulnerability, all the leaked keys should be revoked and then issue the new key. To be safe, since the Fixed openSSL has been released, it is important for the provider to install it and also notify their users to do the same thing. Secondary Key Material. In this matter, the after-effect is affecting the users or the one with credentials used in vulnerable service. The simple examples are username and password. The provider or service owner should do the first step as mentioned above but then the users should change their username and password, and reset their recent cookies are also required. Protected Content. The meaning of protected content is all things like document, data, email, personal information that are worth protected by encryption. For example is you have trusted a certain insurance website where all kind of your data from your home address up to your bank account is available there so both you and your insurance provider could access it easily. If somehow the contents are leaked, the web provider should notify their customers regarding the data loss and that’s why is important to restore the primary and secondary key materials first. Collateral. Well, this one is a bit technical which is directly related to memory content which may contain technical details. The technical details will lose its value once the openSSL upgraded to the fixed version. How to check a website is vulnerable or not? Moreover, there is one way you could do whether a website is vulnerable and required patch or not. Some websites are not vulnerable because it is not using openSSL where Heartbleed based on. However, though there are some websites that once vulnerable but now the vulnerability has been patched, still password change is recommended. For the list of some popular websites, please visit c|net to find out the latest status of Heartbleed bug. Or you could directly visit SSLLabs to check the Heartbleed status by using domain name. Hello hello… been along time huh? Yeah been busy lately, got some writing projects to finish, but I will try my best to keep you update. 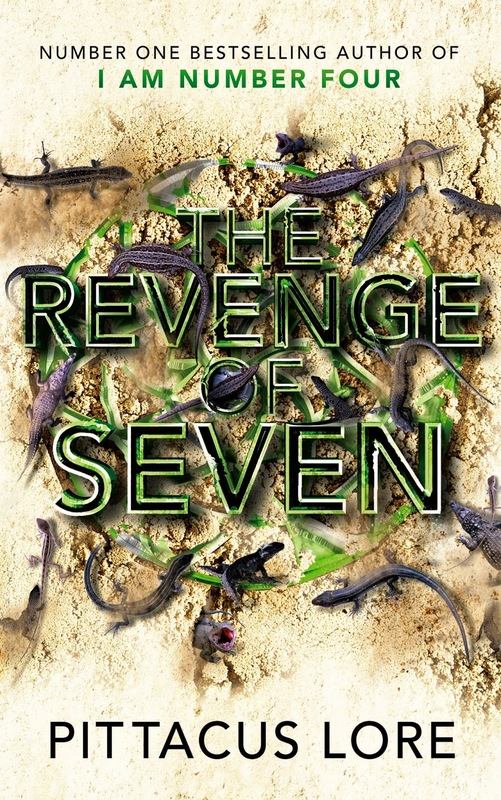 Well, for those who love The Lorien Legacy series, perhaps you have found out that the newest series will be released this August with titled The Revenge of Seven. The first question that appeared on my head after the title confirmed was “Revenge against who?”, well the best answer for that question, according to me, is revenge against Five. Yeah, we all know that now Five is with the mogs and because of him Eight is death. 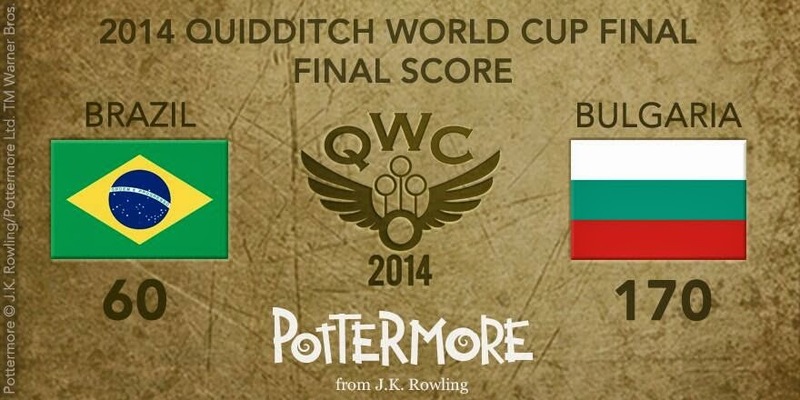 However, speculations are all around and it would never end until the book released. Is it ironic for Marina who has healing ability but she is the one who should face the Eight’s death, isn’t it?So some speculations said that perhaps, somehow Eight will raise again and Marina just accidentally froze him up, which is too good to be true. The best speculation I could make is, Eight will turn into another Adam, though I don’t know how. Five, why and how he could with the Mogs? I hope he turns into cheese and he would eat himself. Ella’s kidnapping. That’s just making everything so confusing. The best thing I could do so I could end all this madness is waiting patiently for the next book. However, patient is not something I could do well, I decided to find a way to release the madness. I don’t know, I think in the beginning it is just me who doesn’t like her. Because, I like Four and I think I don’t like Sarah because I’m jealous that she is Four’s girlfriend. However, recently I found that it is not just me, and I’m sure that I don’t hate her because she is Four’s girlfriend; I hate her because she is her. Four is awesome and she is just nothing compared to him. She is an ordinary human being with no ability. Well, I hope at least she could do karate or something. No, the only thing she really good at is photography, duh. She is too flat in emotional level. I don’t get it, why Four is so fall in love with her. Well, at least she could be useful somehow but no. I have to be inside Four’s head to know the reason why he loves her that big. Improve Sarah’s character so we all could like her. Find a new girlfriend for Four. Though I don’t like her but still it is just ashamed for a character which initially designed to be prominent. She is Four’s girlfriend for a God sake, she should be prominent not just a flat character in emotional level. Besides, The Lorien Legacy is my first Sci-Fi novels that I can stand. I don’t want to stop reading just because one of the main characters give me toothache.